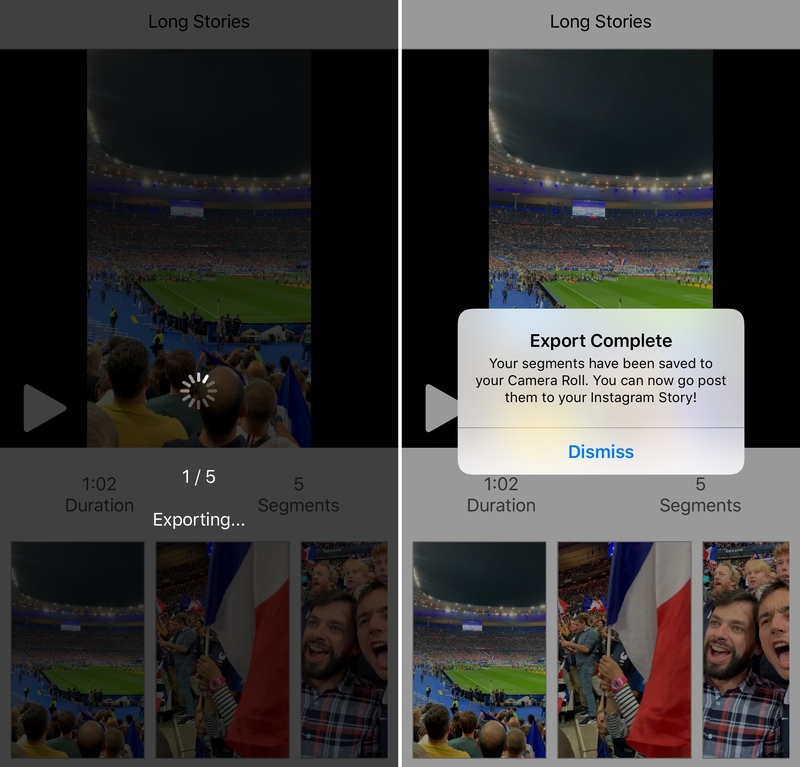 If you sometimes upload videos to your Instagram stories, you have probably ran into the 15-second limitation. That means that no matter what the length of the video you’re posting to your story, Instagram will automatically crop it to a maximum duration of 15 seconds. This is great for shorter videos, but what happens if you want to post a video that is longer than this 15-second limit? I recently ran into this problem myself when attending a soccer football game between France and Germany. I wanted to publish the French national anthem being sung by 80,000 people to my story, thinking the limit was one minute. The next day, I realized that limit was only 15 seconds and that Instagram had cropped my video by more than two thirds. 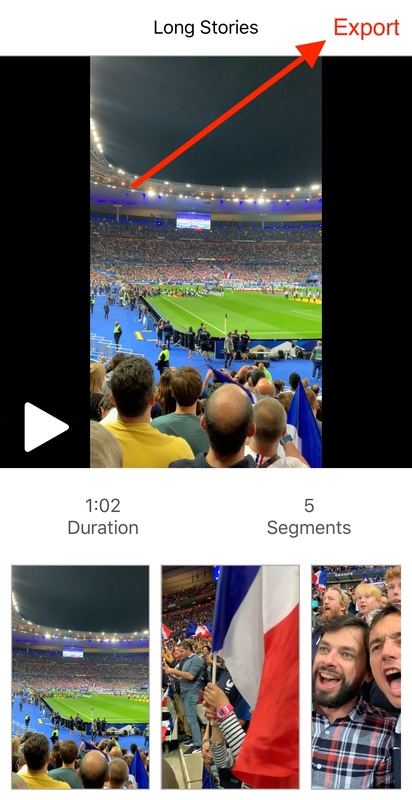 That’s when I started looking into an app that would automatically split videos into 15-second segments that could be uploaded to an Instagram story consecutively, making it look as if it was one continual seamless clip. There are tons of apps in the App Store that can do that. Some are free. Some are expensive. Some literally try to scam you into buying an in-app purchase, some have watermarks, some have ads. None are perfect, but after spending some time with a few different ones, I think I have found the right balance of design, practicality, and price. Enters Long Stories… The app is completely free with limited ad support, which makes it totally bearable. 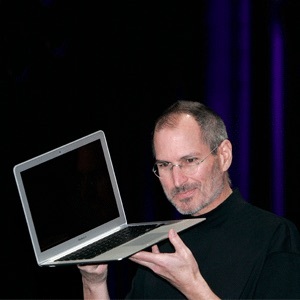 It doesn’t add watermarks to your videos, and it works flawlessly. However there is one big esthetic caveat: some of its buttons are somehow hidden, which I assume is just a bug that will be fixed in a future update. 1) Download Long Stories and launch the app. 2) Tap the giant ” + ” sign. 3) Browse your library and choose a video longer than 15 seconds. Confirm this is indeed the video you want to slice by tapping Choose. 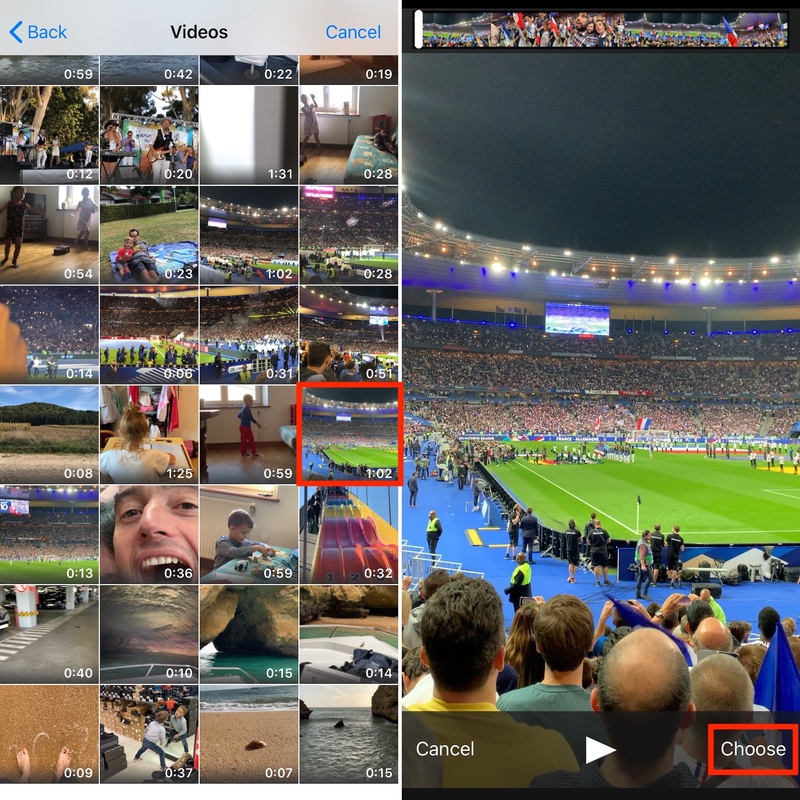 4) The video will then be imported into the app, which will slice it into 15-second segments. As you can see on the screenshot below, the video length is 1 minute and 2 seconds, and it is being split into 5 segments (15+15+15+15+2). 5) Tap the hidden export button in the upper right corner of the screen. 6) The shorter clips are then saved to your library, and a confirmation message tells you the export is complete. 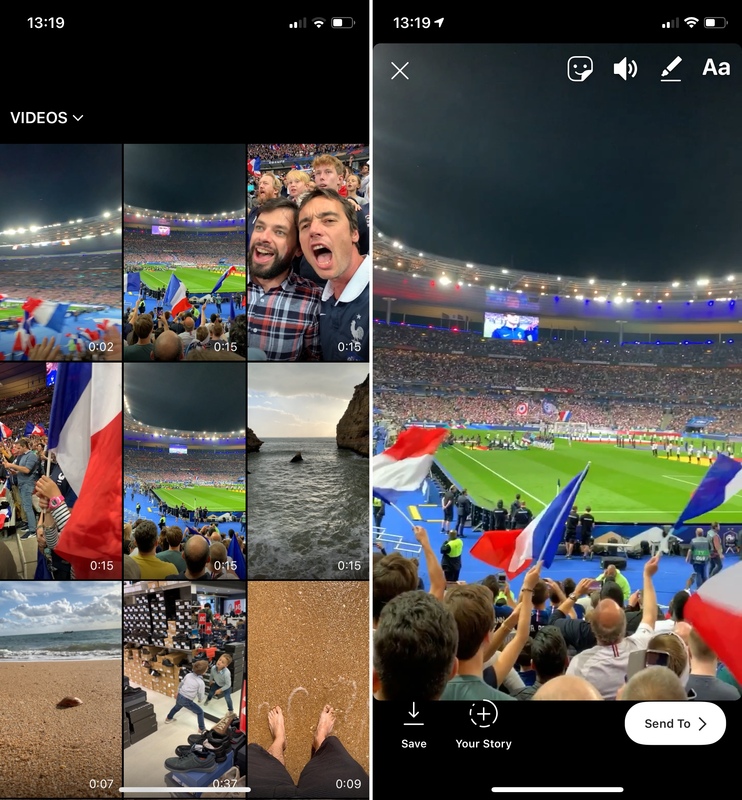 7) You can now publish these 15-second clips to your Instagram story, making sure you are doing so in the right order. 8) As you can see on this last screenshot, my 5 clips have been uploaded to Instagram, which now sees that story as a one-minute story. 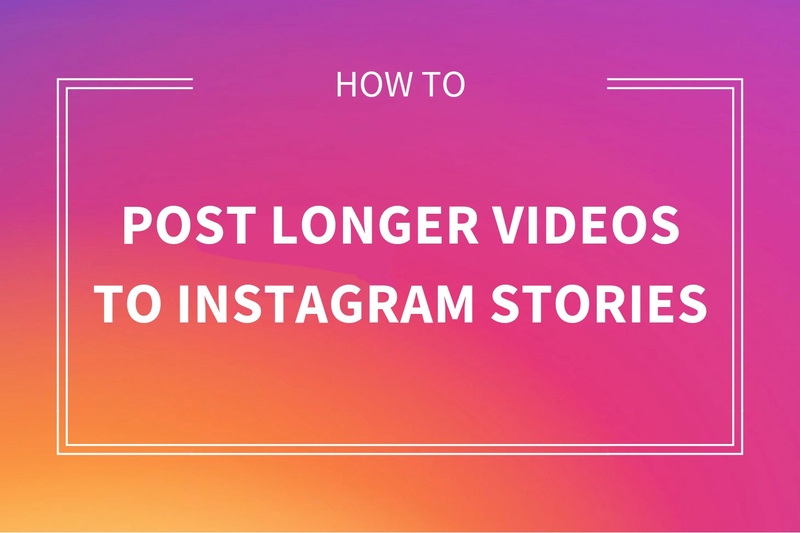 And that’s the trick to upload longer videos to Instagram Stories.